Drummondville grew from the shadow of the historic 1812 hillside battlefield at Lundy’s Lane. In 1831, Stamford Township saw the development of the first settlement in Niagara. This settlement consisted of approximately a dozen houses located around the intersection of Portage Road, Lundy’s Lane and Ferry Road. The name of the village was Drummondville in honour of Sir Gordon Drummond, a Major General of British Army at the Battle of Lundy’s Lane. The Village of Drummondville had an original population of approximately 150 citizens. In 1833, the first school was built. In 1844, William Russell built a brewery in the Village of Drummondville. It became the largest industry in the village. In 1886, the brewery was destroyed by fire. In 1849, Lord Elgin, the Governor General of Canada was a resident of Drummondville. By 1850, the Village of Drummondville had a population of 500 citizens. The village included a hotel, a tannery (a place to make leather), and four churches. In 1856, William Russell, a stone mason, built All Saints Church on Robinson Street. Between 1814 and 1861, the war of 1812 battlefield at Lundy’s Lane was promoted as a tourist attraction. In addition to the Niagara Falls located less than 1 mile away, the Lundy’s Lane Battlefield became a popular tourist attraction. A number of observation towers were built overlooking the battlefield to provide tourists with an excellent aerial view. 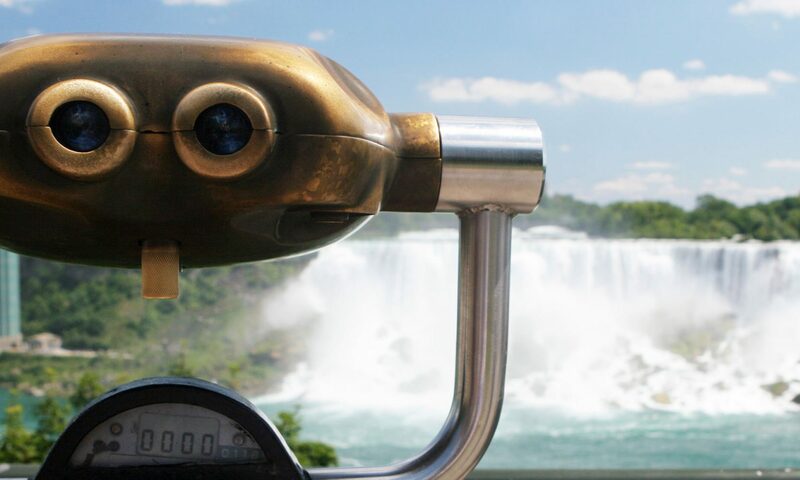 On March 13th 1882, the Village of Drummondville was incorporated and become known as the Village of Niagara Falls and William Russell became the first reeve. The Village of Niagara Falls encompassed 290 acres and was located adjacent to the Town of Niagara Falls. In October of 1881, at the request of its residents, the former Town of Clifton received permission from government to change its name to the Town of Niagara Falls. By 1881, the population of the Town of Niagara Falls was 2,623 citizens. From 1882 and for the next twenty-four years, there existed the Town of Niagara Falls (formerly Town of Clifton) and the Village of Niagara Falls (formerly Drummondville). Both shared a common municipal boundary.